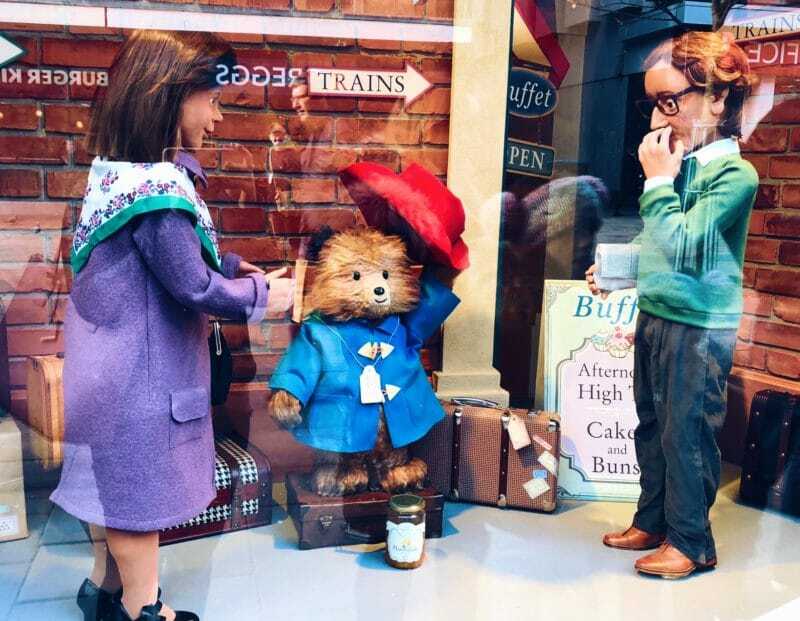 Paddington was sent to London from Peru by his Aunt Lucy, when she was too old to care for him anymore. He was found at Paddington Station by Mr & Mrs Brown. 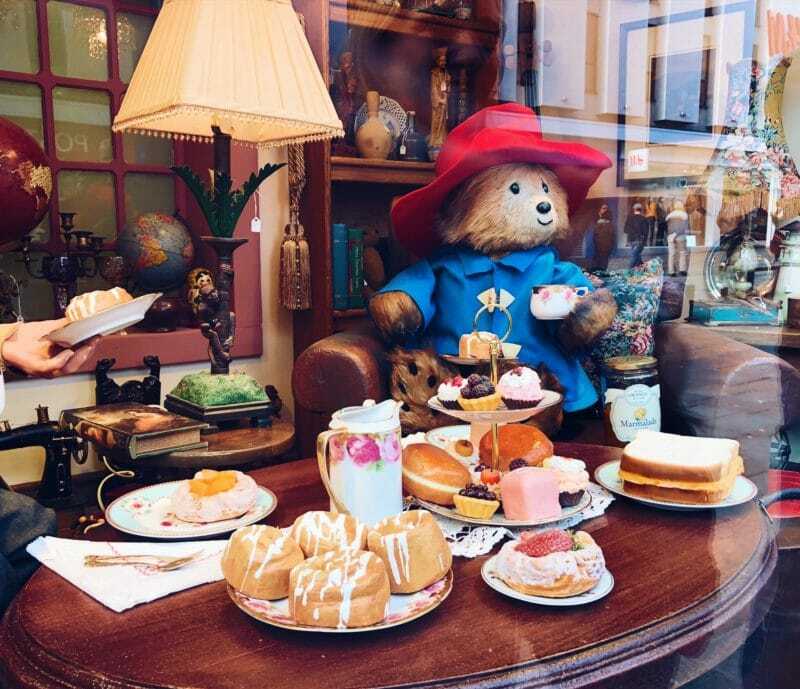 Michael Bond created Paddington after buying the last bear on the shelf at a shop in London one Christmas Eve. 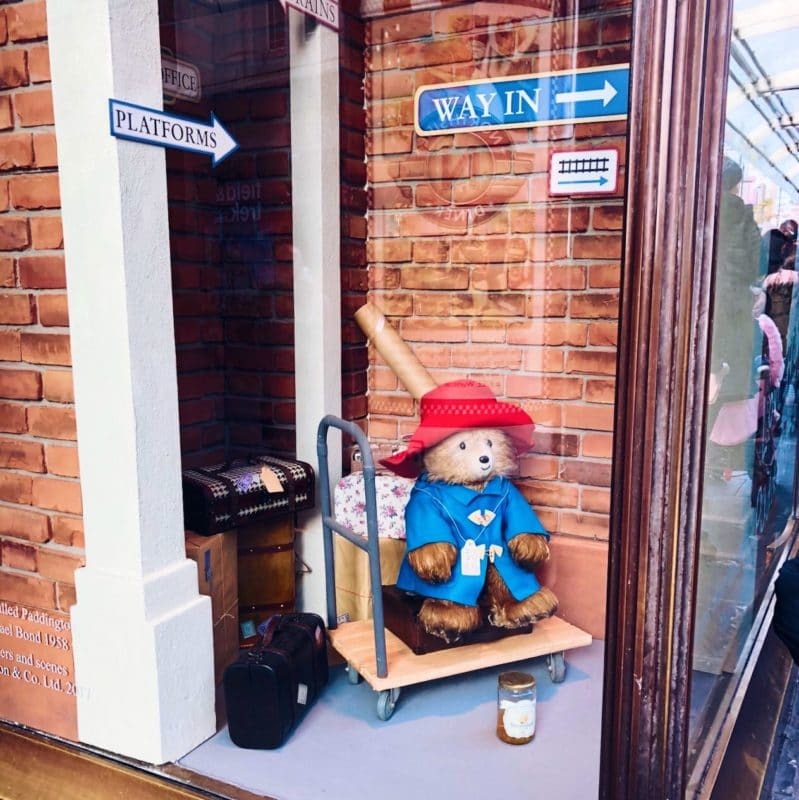 He named him Paddington as he lived near to the station with his wife, and there is even a life size bronze statue of Paddington at the real Paddington Station. 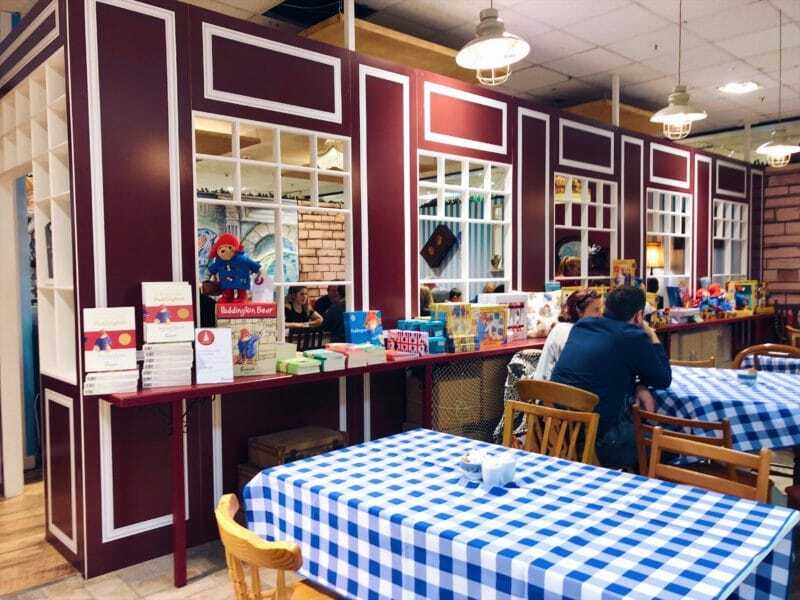 Paddington Bear was taken in by the Brown’s and their two children Jonathan and Judy. They looked after him, bought him his signature outfit, the duffel coat and wellington boots to go with his uncles old red hat, and they all lived together on Windsor Gardens in Notting Hill. The address isn’t a real address, but nevertheless you can imagine the type of house they lived in – take a look at more on the real Notting Hill. 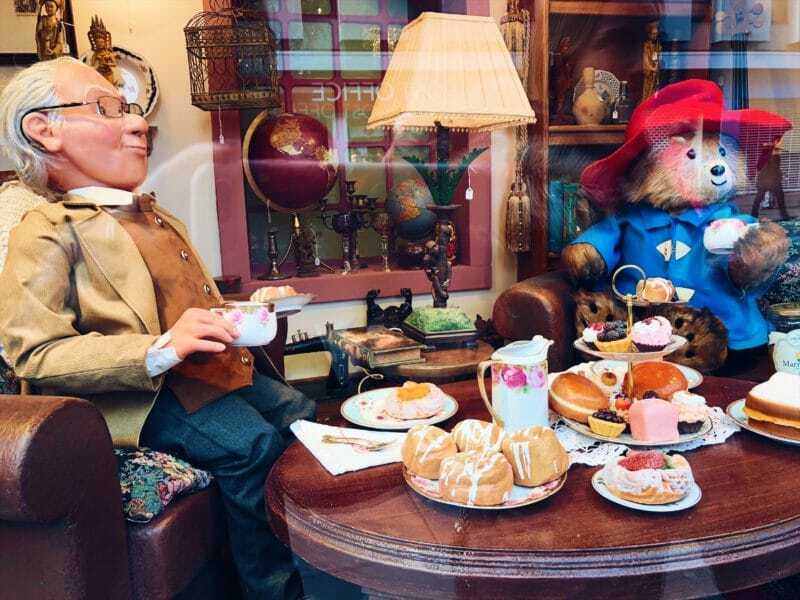 The books written by Michael Bond follow Paddington on his adventures around London, and all of the scrapes he manages to get himself into. I spotted some of the books in Fenwick’s to buy, but the windows bring out some of the best. We also see him on an adventure in London, stood next to the Queen’s guard. 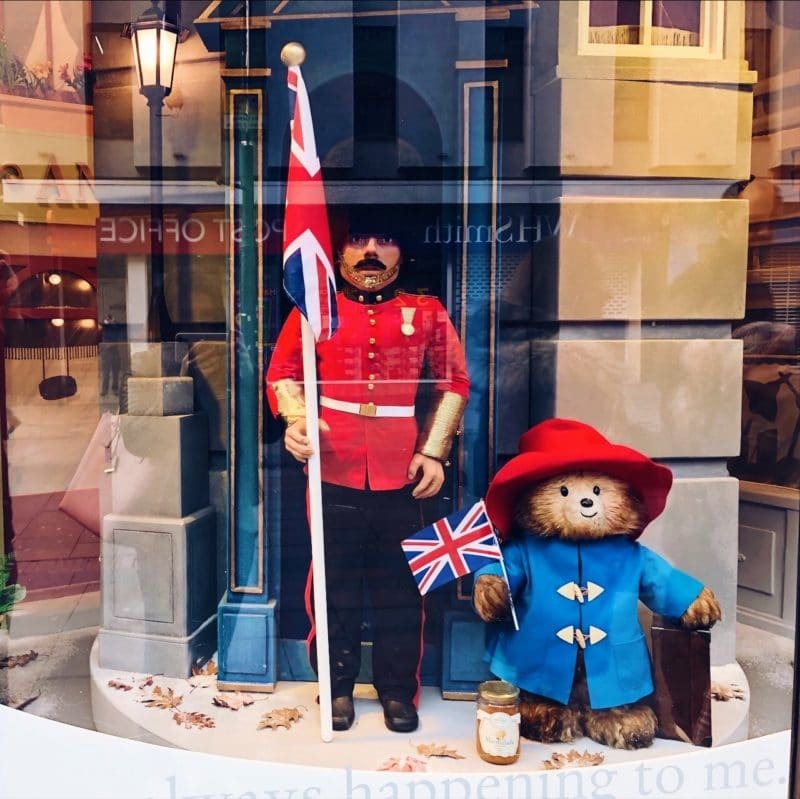 Like the Queen, Paddington Bear has two birthdays, as he wasn’t sure when his was. His birthdays are 25th June and 25th December. 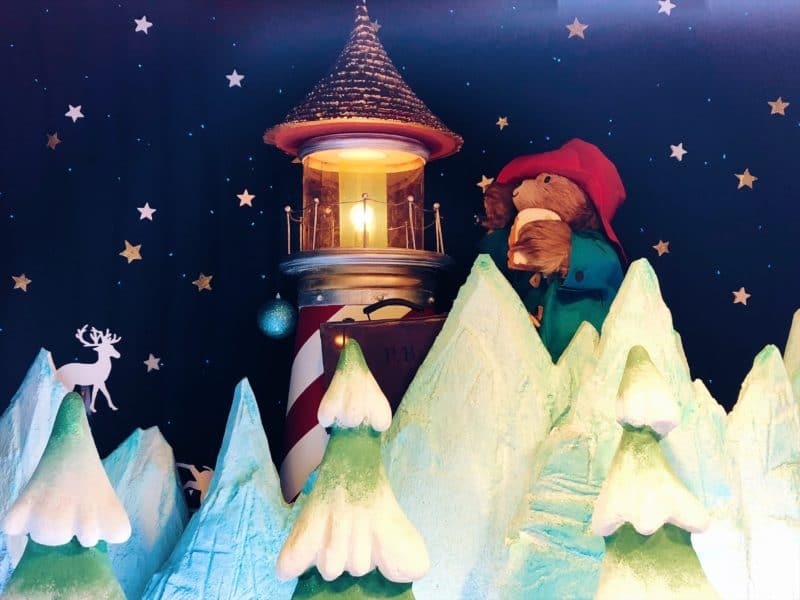 How nice and fitting that these two months are so important to his author – the month he began writing Paddington’s adventures, and the month he passed away. 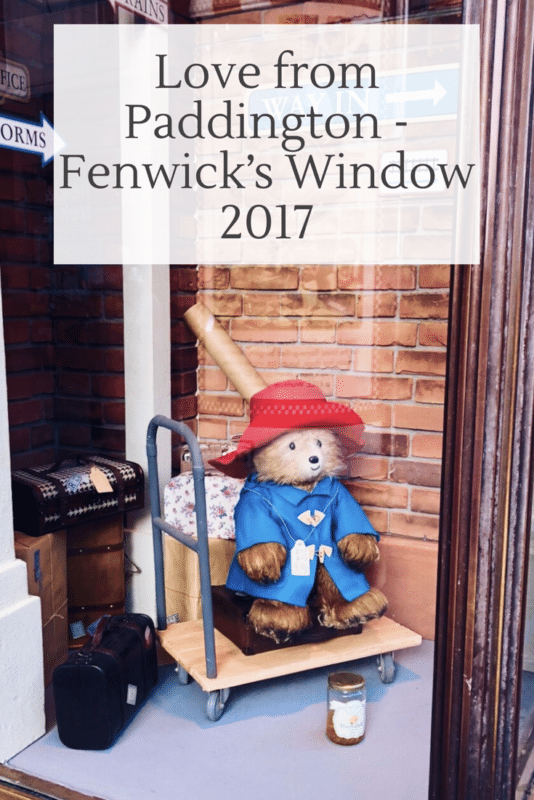 My favourite of the windows is of Paddington visiting his friend Mr Gruber, who owns an antique store on Portobello Road. 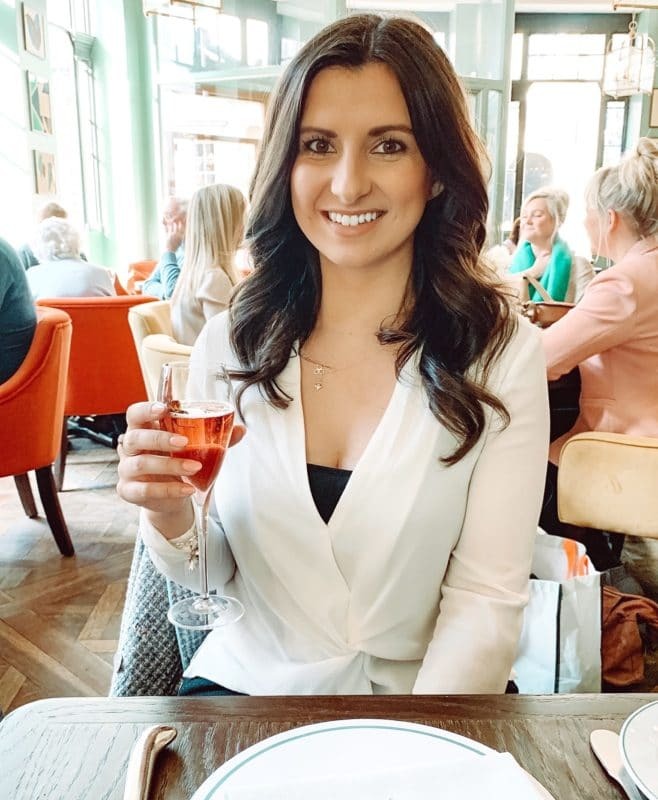 You can see them enjoying a gossip over a cuppa and lots of cake. The last couple of windows of course turn to Christmas. 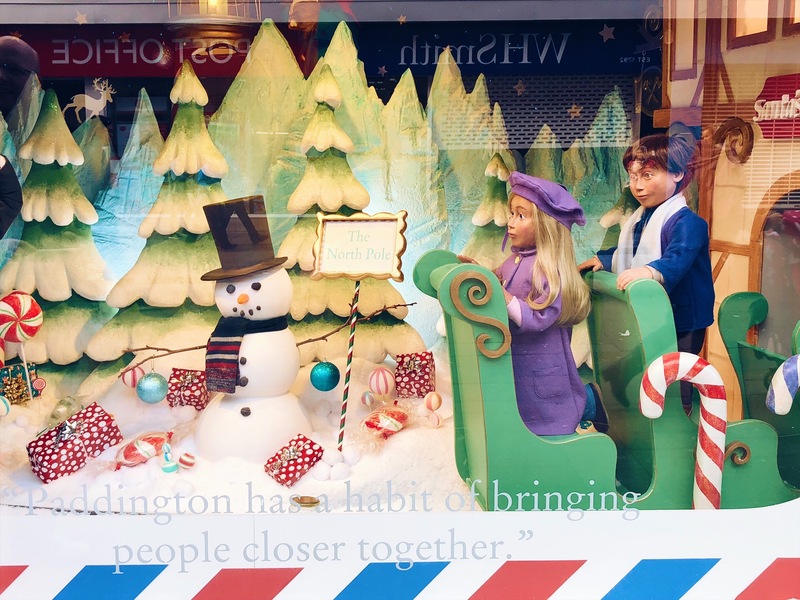 The one titled ‘Paddington has a habit of bringing people closer together’ shows him playing in the snow with Jonathan and Judy. 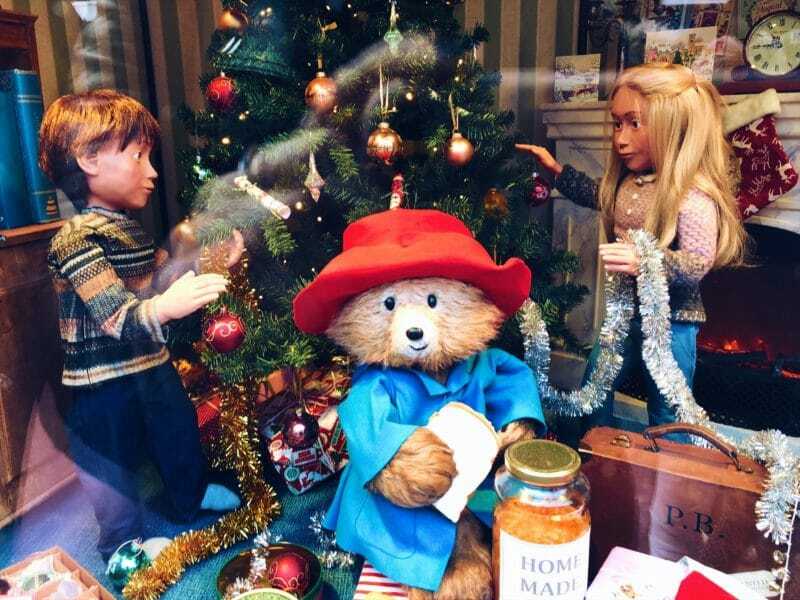 And finally, ‘It’s nice to have a bear about the house’ is a typical Christmas scene, decorating the tree by the fire, with Paddington in the middle with his signature jar of marmalade. 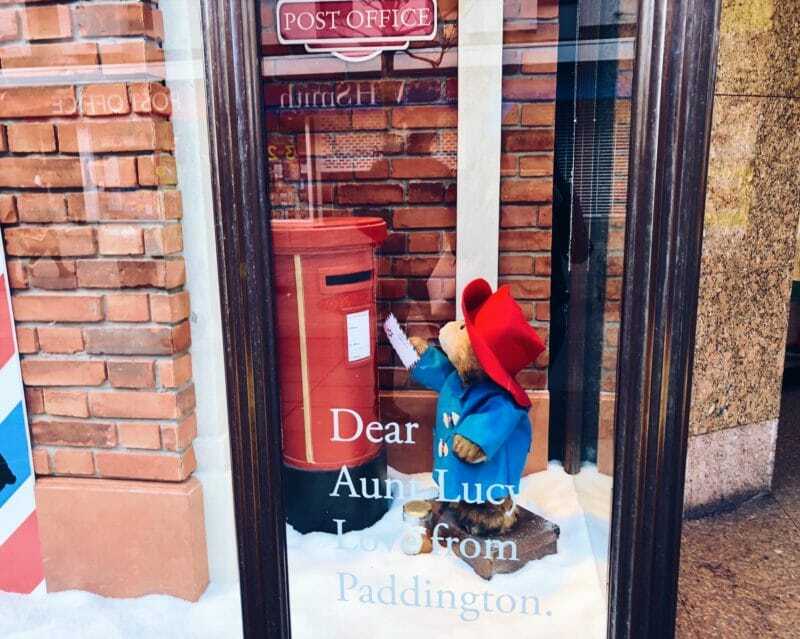 One last scene, at the very end in the small corner window shows Paddington posting his Christmas card to Aunt Lucy. Love from Paddington. 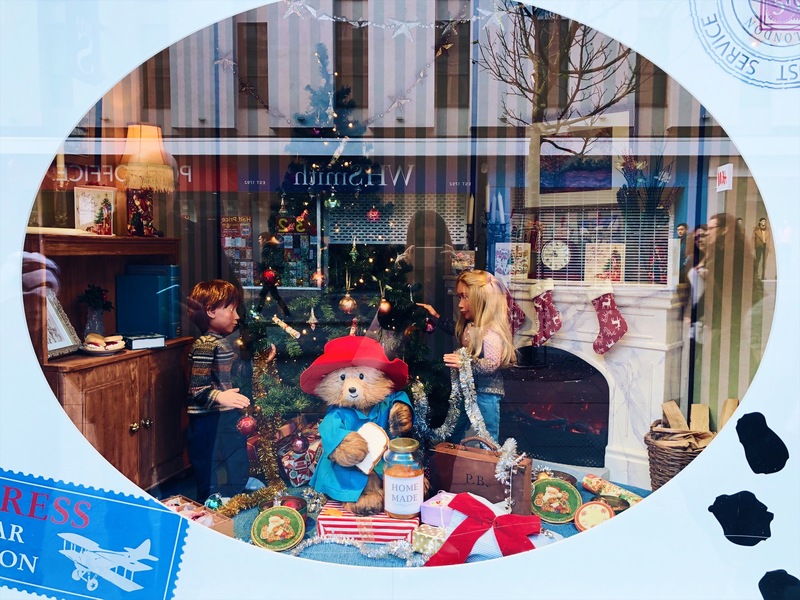 The windows are one of the highlights of Christmas in Newcastle, and when I was seeing them today I think some of the parents were more excited than the kids. A few people were saying their relatives are coming from all over to see them, like they do every year, and like I said last year for me it just reminds me of being a kid and getting the bus up to Newcastle with my cousins and little nana to see them. 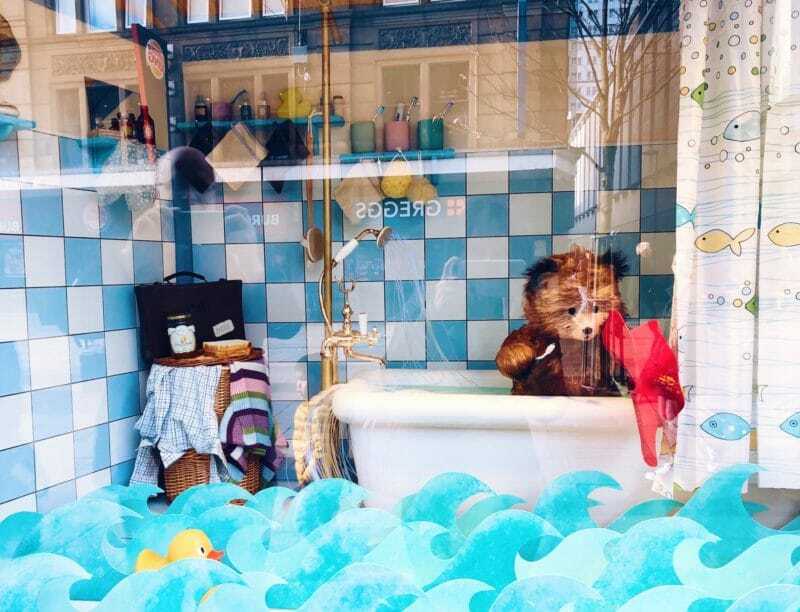 I did really enjoy the Beatrix Potter windows last year, but this one is by far my favourite. 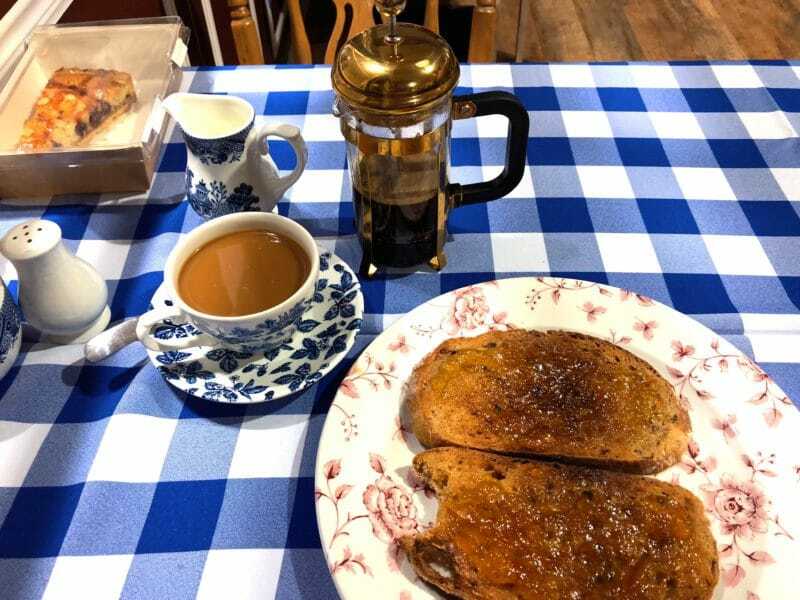 The windows were obviously as busy as ever, so expect a queue, and you have to visit the Marmalade Bar on the first floor in Fenwick’s to warm up when you’ve seen the windows. 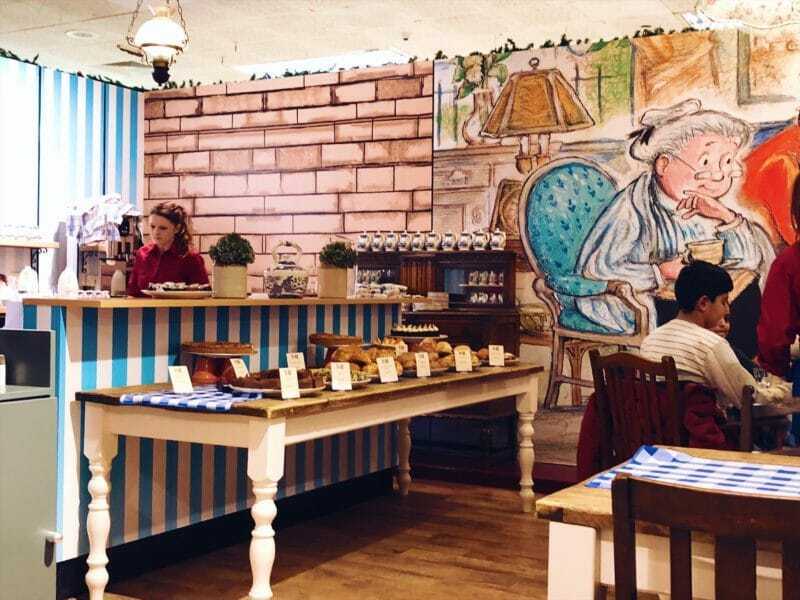 The Marmalade Bar is a pop up cafe in the middle of the Christmas shop, and fully done out with blue checked tablecloths, and a giant cake table it is very cute. 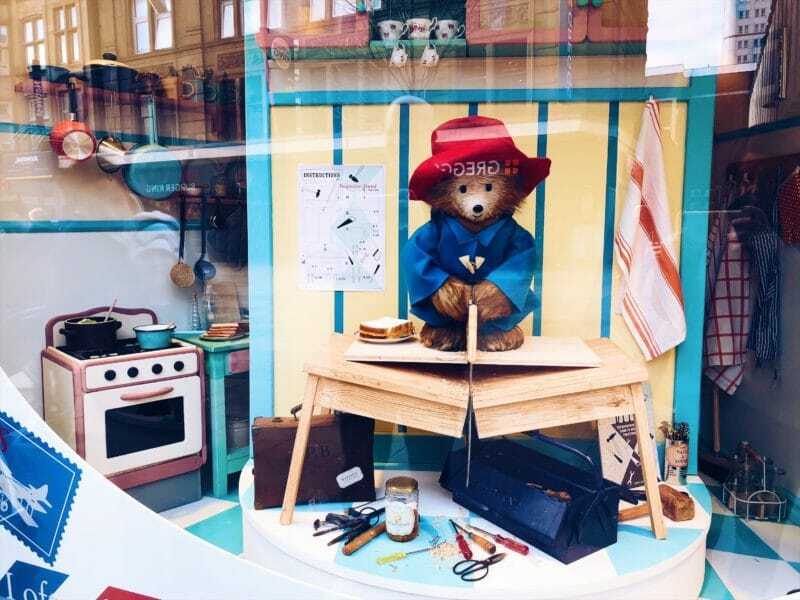 The menu fully get’s into the Paddington spirit, and I had the marmalade on toast for breakfast. There’s also a lunch menu and an afternoon tea option as well. 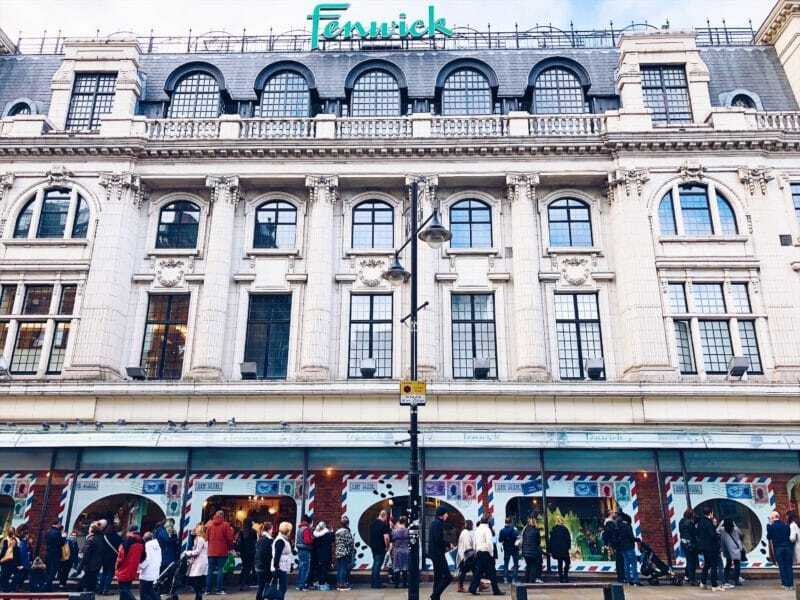 With table service, and tables both in and outside the pop up it there’s plenty room and is a great way to round off your Fenwick’s window experience. 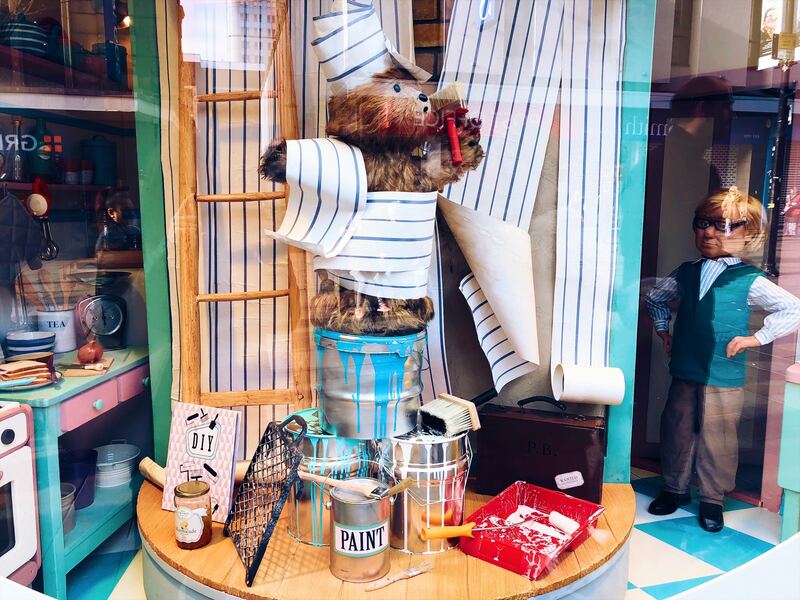 There are Paddington Bears for sale all over Fenwick’s too, but I bet there isn’t one left on the shelf this year. 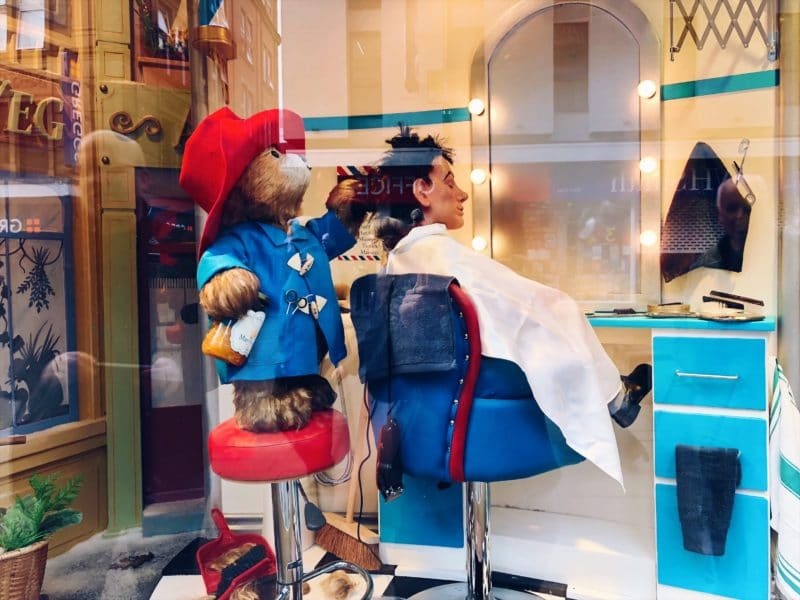 I am SO happy with this year’s theme and I can’t wait to go and check it out for myself, Paddington looks so cute! I tend to have a little stroll past first thing in the morning on my way to work, it’s the best time to go as there’s no one else about! Really want to get up to the cafe as well, love all the marmalade dishes on the menu. I’m sure my niece will be thrilled to see the window. Taking her is a way of satisfying my own curiosity about whats displayed!